It’s that time of year again!! The Glorious Twelfth has come around & after a last minute flurry of preparation we are back out in the field for another season. 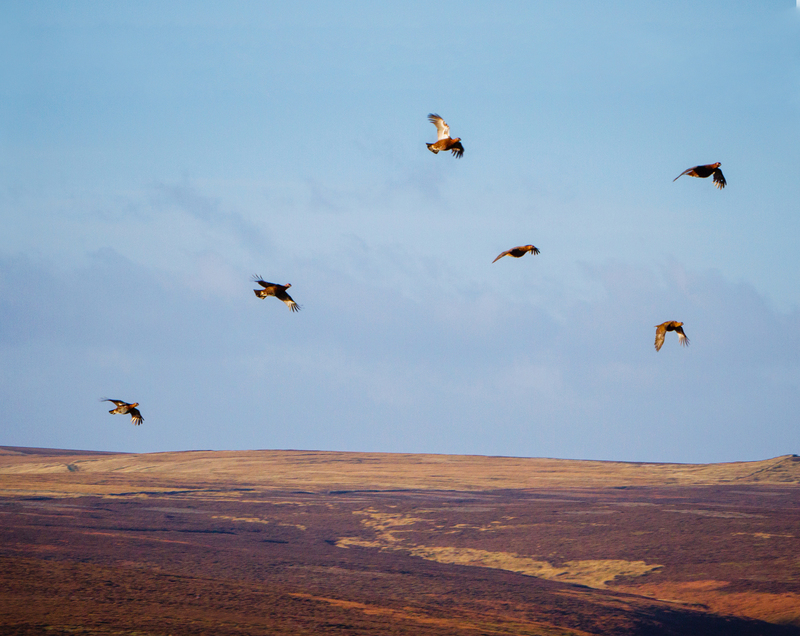 The shooting season follows a traditional pattern starting today ‘The Glorious Twelfth’ with Grouse, Ptarmigan & Snipe followed by Duck, Geese & Partridge on September 1st & finally Woodcock & Pheasant on 1st October. 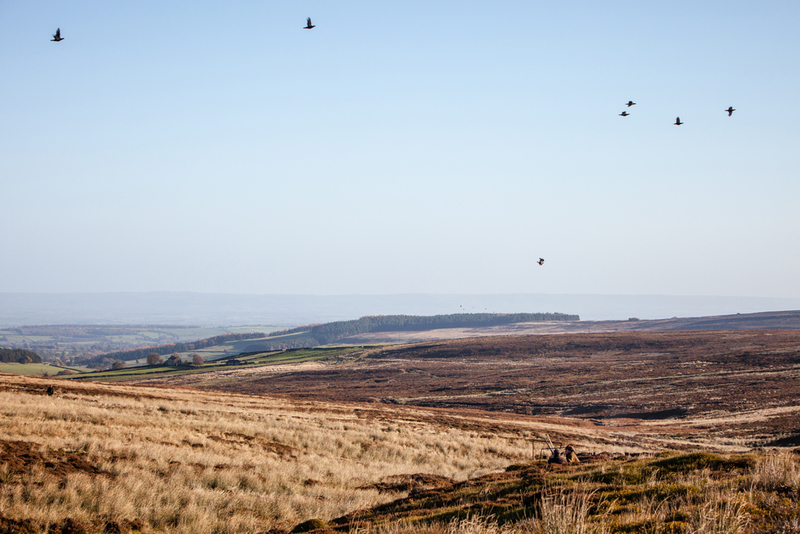 I was lucky enough to be invited to photograph a grouse shoot last Autumn in Yorkshire. Here is a selection of the images from the day. I am available to photograph your shoot day from just £250 for attendance – during the day I will photograph in a photo-journalistic style, capturing the day as it unfolds. From the beaters to the guns he will tell the story of your shoot. I spend time on peg with each of your guests as they shoot away capturing the great shots and misses! After the event we work on the images and upload them to a secure gallery for your guests to see. We can also provide a CD of high resolution digital images for you to print from. All of these images are digitally enhanced to remove blemishes etc and finished to the highest standard for your own use. Alternatively, we can provide you with an album of the images expertly designed showing the images at their best in a beautifully bound coffee table book. Prices from £250 for the first book, additional books for your friends or guests are available on request at a discounted rate. Here’s to a great shooting season – photographs & birds! There was a beaters day at West Wycombe Park today and one thing I never have enough practice at photographing is dogs retrieving birds. I spoke to David Swallow, the head keeper who said it would be fine to hang out with the picker ups and photograph the action from the back of the field. The guns today also had several dogs amongst them who were keen to retrieve the birds too. I spent most of the day with a gentleman, David Frost, one of the writers for the Shooting Times and other shooting titles. He has 4 black lab, all whom are very well trained and excellent gun dogs. I also spent time with Tony and Alistair and their Cocker Spaniels who helped towards more great pictures. There was plenty of friendly banter going on today between the dog handlers as to the merits of their dogs, Spaniels verses Labrador……… I’m keeping out of this one!!! Here are the photographs from the Open Working Test for the Bucks Area of the United Retriever Club held on the Portman Burtley Estate, Beaconsfield on Sunday 20th May by kind permission of Shoot Owner, Mr John Blakeston. The test was a qualifying event to select the Bucks Area team for the URC Area Finals to be held on July 15th. 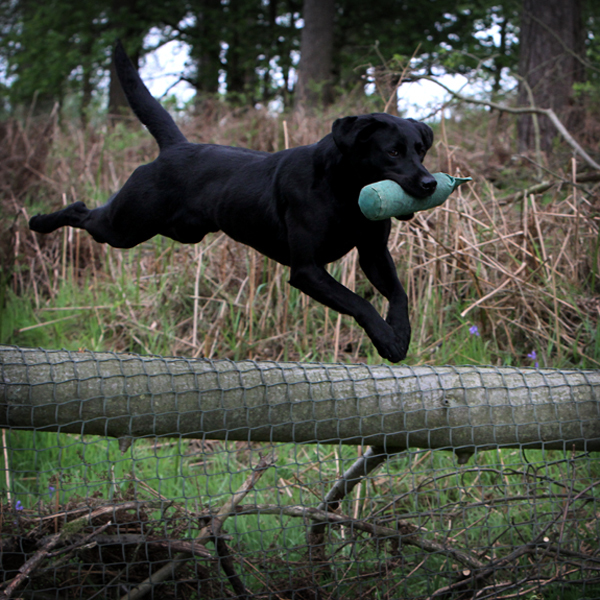 Working Gun Dog Tests – Pictures Coming Soon…..
Keep an eye out on The Sporting Picture blog for the pictures from today’s working gun dog tests at Beaconsfield. I hope to have them online by the end of this week. Here’s one of my favourites to keep you going. Not only could the Lab clear the jump easily but also pose for the camera!